Buckeye Annual Christmas Party December 11th from 6:30-9:00 at the Konvolinka house. All Buckeyes welcome. RSVP to Christine Konvolinka by the 9th via email. rally at Champps downtown on Friday night 6-8pm. Welcome Kim Lenzo for becoming our Scholarship Chair person. This is an important job for organizing and implementing the Scholarship Program. Thank you Kim for volunteering. Welcome aboard! Get ready for the football season with great Buckeye gear from Buckeye Fan Apparel by clicking on the banner below. Please visit OSUAA's Nutshell for many important/interesting announcements/articles. The Buckeyes have clinched the Leaders Division Championship and will play in the Big Ten Championship game on Saturday, Dec. 7. 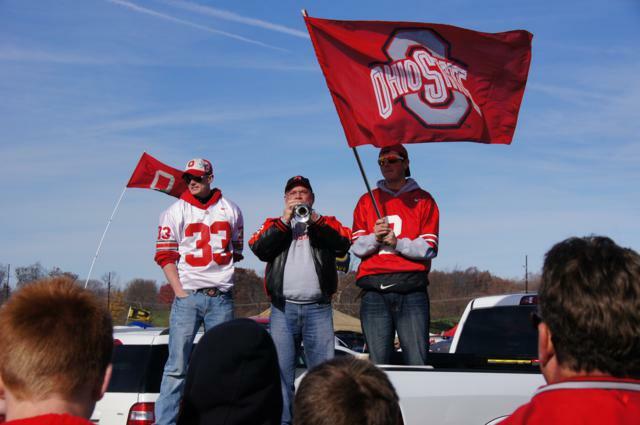 Be loud, be proud at the Alumni Association-sponsored tailgate before the game against Michigan State. This is the only gathering in Indianapolis exclusively for Buckeyes; so join Archie Griffin, TBDBITL, Brutus and the cheerleaders, and other university guests for this special event. Bash-only tickets are available for this free event. You do not have to be an alumnus or member of the Alumni Association to attend. Bash: 3:30 - 5 p.m.
on the corner of Georgia and Illinois Sts. Entrance to the Bash is free. Food and beverages will be available for purchase. 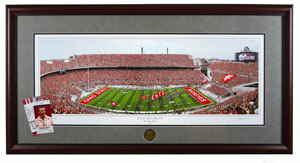 Be sure to register by Wednesday, Dec. 4, to be entered in our drawing for this framed photograph celebrating the Buckeyes' 12-0 season in 2012 as well as a football autographed by Archie Griffin. Friday: Check out the Buckeye Happy Hour on Friday evening at Champps at Circle Centre Mall from 6 to 9 p.m. 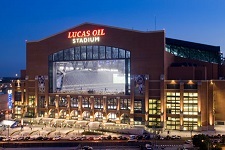 The Greater Indianapolis Alumni Club is hosting in partnership with the Alumni Association. Saturday: Make a day of it, beginning with the free Meijer Tail Greater Party before the Bash and the Big Ten Fan Fest afterward to see the band and cheerleaders perform at 6 p.m. (free with game ticket). Visit go.osu.edu/BuckeyeBash for details. © 2013 The Ohio State University Alumni Association, Inc.
As a student, alumni, faculty, staff or supporter of The Ohio State University, you are invited to participate in an exclusive offer with the Indiana Pacers! Come out and see newest Indiana Pacer and former Buckeye, Evan Turner, as he faces his former team, the Philadelphia 76ers. Purchase tickets at a discounted price and watch the Pacers continue their quest for an NBA Championship!